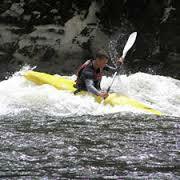 Here you will find everything you need to know about canoeing or kayaking the Whanganui River. We look forward to providing you with an unforgettable experience as you share our Whanganui River experience through the Whanganui National Park. We pride ourselves on our attention to detail and offer refinements that no other Whanganui River canoe operator provides, all at a very competitive price. We have only one objective – to make sure all of our clients have the best possible time while in our care.